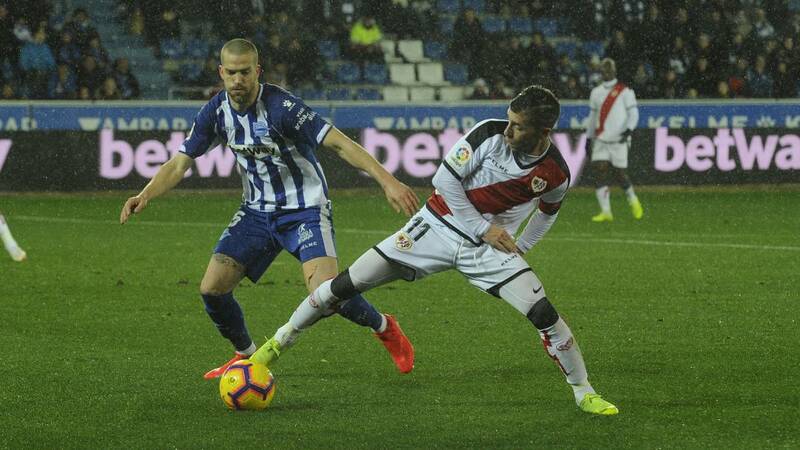 Home Soccer Laguardia: "Now we have to continue with the same humility"
Laguardia: "Now we have to continue with the same humility"
The Alavés lost its unbeaten home during this season to fall 0-1 with Rayo. First game at home in Mendizorroza in 2019 and an end to the unbeaten record at home. "The Lightning won us and now we have to continue with the same humility. Raúl de Tomás is a player with great quality and they fought until the last second. It was a very even match that ended up decanting for small details, "said center Victor Laguardia, who returned after a penalty for five yellow cards. The Alavés fit the only goal of the match in the 47th minute, after receiving a shot to the post. "We have to correct the goal-receiving just after the break. We can not do that. The day of Getafe marked us 30 seconds after leaving the locker room and yesterday the same thing happened after two minutes. You have to avoid it, "added the Zaragoza. The equality in the category is obvious and that shows the value of the first round made by the Pitu Abelardo. In that sense, the boss said that "all Primera teams have quality and that proves the merit of having achieved 32 points so far. Yesterday we lacked effectiveness in the area because in other matches, with fewer chances, we were able to win. It was a shame to fail the good opportunities we had in the first part. There were also in the second. " Alalés was choked again facing a defense of five defenders, a circumstance that will not happen next Sunday before Real Madrid at the Bernabéu. Ximo Navarro, who yesterday was called but did not play after a problem of inflammation in the sciatic nerve, will be available to the Asturian coach. It will be played a position on the right wing with Martin or central with Maripán but what everyone knows on the way out is that Laguardia will be the undisputed holder unless he is injured in some training.